Expert replacement door installation and door repair services in Northern Virginia and Southern Maryland. Are your exterior doors deteriorating, bowing, sticking, “leaky” and inefficient or lacking the security you demand for your family? Exterior Medics provides quality solutions for exterior door replacement in Northern Virginia and Southern Maryland. 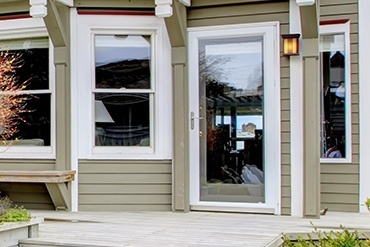 We carry a wide selection of entry doors, patio doors and storm doors manufactured with materials ranging from steel for extra security, eye-catching fiberglass for energy efficiency and solid wood doors for classic beauty, warmth and elegance. 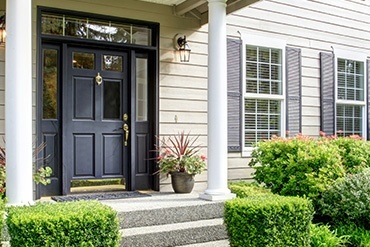 Make a statement with entry doors that fit the style and the functionality you need. If classic beauty is your objective, a custom-designed wood entry door imbues character and charm, combining artistry and craftsmanship into personal expression. 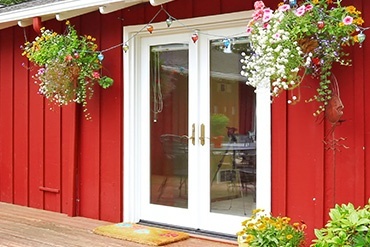 An eye-catching fiberglass entry door offers beauty, durability, efficiency and easy maintenance. Choose from dozens of door styles and glass designs with the rich look of real mahogany, deep oak-grain detail, European rustic style and more. Steel doors are available in a variety of designs, providing homeowners extra security without sacrificing beauty. Options include decorative glass, wood edge, heavy-gauge opaque doors for added security and more. Following a roof inspection, the roofing contractor should provide in writing, and clearly explain, any roofing issues that pose immediate issues that require remedying, potential issues that should be repaired to prevent further damage and expense. At Exterior Medics, we specialize in several roofing materials, styles and designs, offering homeowners options to meet any project and budget. We install, repair and maintain roofing. As a member of the National Association of the Remodeling Industry (NARI), your home-improvement project is in good hands. Exterior Medics pledges to observe NARI’s Code of Ethics for high standards of integrity, honesty and responsibility in the conduct of our business.